Organized by the European Chamber of Commerce of the Philippines & Kaya Futbol Club Academy, the 1st Manila Football Cup - Corporate Category is a great platform for team building & networking for all participating organizations! The 1st Manila Football Cup is a 2 day tournament that is designed to be the biggest & most diverse football event this year. Over 1,000 athletes from about 170 teams were invited to join from different schools, football clubs, companies & organizations across the country. Participation of Kaya FC & Philippine Azkhal players: Jason Sabio, Anton & Armand Del Rosario, Nate Burkey, Aly Borromeo,Lexton Moy, Josh Beloya and many more! Each team must have at least three (3) female players. At least one (1) female player should be on the field at all times. Each company can send a maximum of three (3) teams to participate. Fill-up the Team Registration Form here and fax back to (+632) 759-6690 or e-mail a scanned copy to footballcup@eccp.com. Deadline for Registration is on 31 of August 2012, Friday. Advance registration and payment is required. The tournament is played seven (7) aside including the goal keeper, and with no off-side rule. NEVER played football? -- The 1st Manila Football Cup - Corporate Category is a FUN CUP! Our aim is to provide a socially competitive environment for players who approach the game with the right attitude and the right spirit. 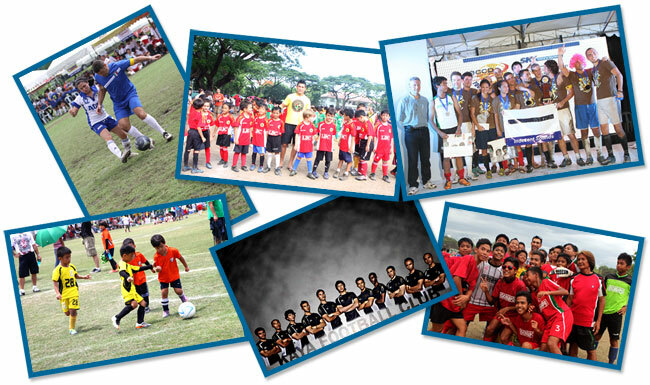 For questions or clarifications, please email footballcup@eccp.com or call (+632) 845.1324 & look for Ms. Cay Castaños. Click HERE for the Event Brief. We look forward to your support and participation!! !